Here is Day 3, or the third sketch in my portrait series. 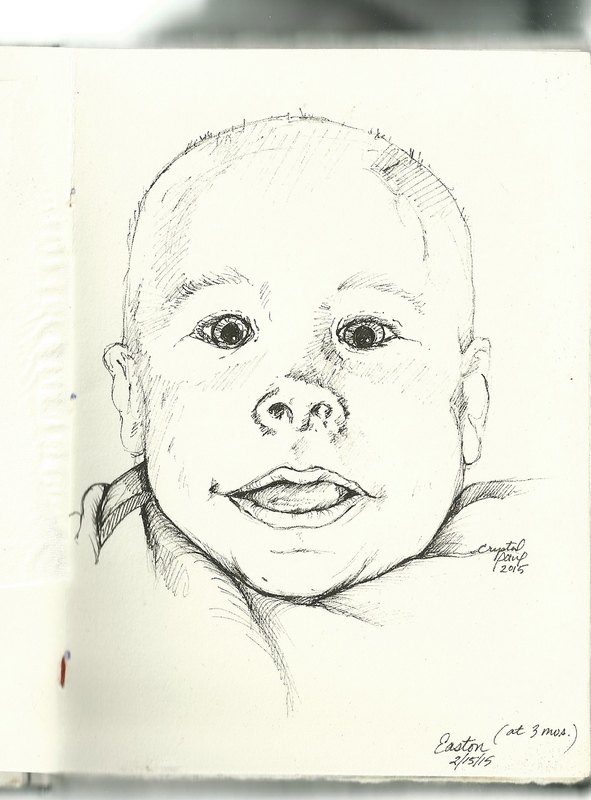 This is drawn from a photograph of my son, Easton, when he was 3 months old. I used Micron black ink pens on some unknown paper I made a sketchbook from forever ago!